On Tuesday, September 11th, KCC took on the Barstow Knights in a home soccer match. 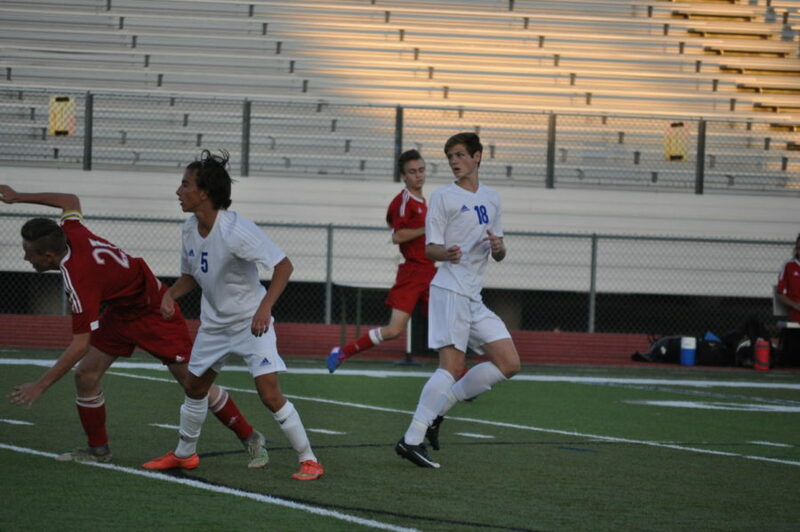 The Panthers came came out victorious 2-0, largely contributed by the two goals scored by junior Ben Pivovar. The Panthers started the game in their standard formation, but saw that the opposing offense was finding holes in the defense. In order to counter this, assistant coach Seth Turner decided to switch the boys around so they could have more room to possess. The first half ended with the score remaining 0-0. 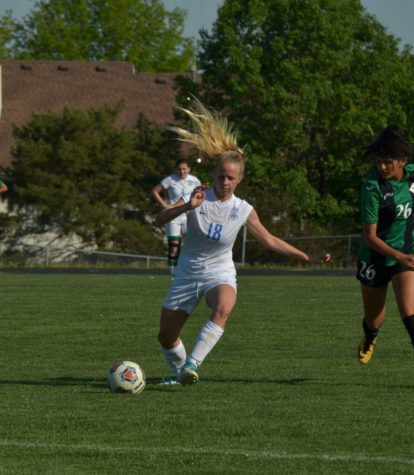 The Panthers came out playing hard the second half, possessing the ball and controlling the game with several shots on frame, and several saves by the Barstow goalkeeper. However, Ben Pivovar allowed the Panthers to pull ahead with a goal in the 55th minute, assisted by senior Sam Swaistyn, and followed up with another goal in the 57th minute. The Panthers continued to hold a strong line in the defense, working on pushing the outside backs up. Brannon enjoyed the distance that he and senior Owen Veer were able to push up the field to support the offense. At the final whistle, the Panthers had held the Knights scoreless. The team hopes to continue to keep the momentum with this conference victory into the rest of the season. The Panthers will play at home on September 24 against the De Soto Wildcats.